I play pretty much everyday and see all of these kicks happening the whole time. Not sure why it has never kicked me before so maybe it has something to do with the way my ET is run. do you guys do all of the pb lag commands? -I almost always /connect through the console, but on the rare occasion that I do use xfire to connect, it has not kicked me. -The EnemyTerritory that i play is kept really small (probably 30 things in my ETmain) because pb has issues with giant ETmain folders. The smaller the ETmain the better because 1) pb scans are finished faster (less lag) 2) et boots in like .00000000001 seconds. I keep random maps and mods in a different ETmain, in a 2nd copy of ET. -I looked through my config and I dont see any other magical pb commands that would explain not being kicked. -Maybe I'm just luckY! but maybe that will help? Yes, roor, I've tweaked the settings you've mentioned but that doesn't seem to help with this issue. I've had the PB lag related settings for a while - there must be a program or DLL loaded that interferes with PB. Good advice re. the etmain folder (it did seem to load the game faster). Would you (or elovesk or disco) do me a favor and follow the instructions above and PM me the list of DLLs loaded? Essentially - join the QAW server - play for a bit and alt-tab out to the process explorer. I'd like to compare the list of DLLs loaded. Would also appreciate Scout or Bacon PMing me the same list (or just post the results here). Fortunately, I 9014'd almost immediately yesterday ... so I've updated the ticket with the requested data. I will do this later when I get home and get on even though I haven't been having this problem. Of course, that in itself might be telling, so I am willing to help. Q: Is this procedure the same for those who are running Windows 7? And does it make a difference if you are running 32bit versus 64bit? Thanks again. thx for the reminder to clean up the ET folder pirate. my ET folder was 2.7GB big, i've got it down to like 70 items in etmain now!! we will see if it actually helps with the kicks though.. Doesn't help with the 9014s. Razi, I used to get the unknown GUID kick all the time while running this game under Linux. I started using a Windows partition due to that problem. EDIT:: played for two hours without a problem - just strange that I just got this kick for the first time. Weird, isn't it?? The frequency of my kicks have gone down lately. But it's extremely random. BTW: my mouse is the razor death adder as well. There certainly is a combination of local drivers, dlls, that interfere with PB. This is the reason EB's having a hard time fixing this problem. Altho' why do the local driver interference with PB cause occasional server lag?? Server lag also started with the Sept 4th update. Thanks to you and Disco for PMing me the list of DLLs. I'm gonna compare the list later today (and if I find anything I'll update the ticket with my thoughts). Razi - the GUI auth unknown issue is really a very consistent problem. The kicks happen exactly after playing 6 maps (or 8 - I cant remember) in a row. In fact, if I can make it to GUID unknown, without getting 86th by 9014s - I consider it a good session. your right, for almost every server out there the max is 25000, however on the QAW servers 35000 is allowed.....I have absolutely no idea if this is beneficial or not but it makes me feel nice inside. Ok, since o30p has also opened a thread about same problem, I'll post an answer from Rexem here, maybe it can add something to the solution........or not. __As far as I know__ few (2?) months ago PB updated their software to make it more strict on some possible cheaters, specifically on some different games (but as our ET server uses the same PB as everyone, we're also affected). There was an issue, when players using some neat software manipulation tricks could be morphing and avoiding bullets. Well, I won't bore you with the technical details here (oops, already did), but Evenbalance, to address those issues (again - it's mainly related to other games and not ET), increased the number of critical (key) packets and changed the algorithm on counting them a bit. The result: unless you have an uber connection (where 100% of UDP packets are received), there's not much you can do about it. And with additional PC on the same network, just increases the odds of 9014 happening exponentially. So anyway, PB is a ridiculously crappy software (well, ok, I'm taking my words back, since they have a good idea and doing everything fine, but the problem is, that the core of their app was written nearly 10 years ago.. uhm.. in the time when computers didn't even exist...). It is divided in 4 major parts in order to function correctly (and even those parts are divided further): 1. Server PB; 2. Client PB; 3. PB_A; 4. PB_B; "Client PB" reads all the instructions found in the latest PB release (you can check them in /pb/htm files or www.evenbalance.com/downloads/et/wc002236.htm (have fun!)) and sends them to the PB_A/PB_B services that are running in the system. PB_A monitors PB_B in order to check if the software itself is legit, while PB_B does all the hard work (checking memory and such). You can check their status in %\Windows\System32\LogFiles. If something's not right, it is reported to the server's PB and the server kicks the player. So, basically it's the simplest explanation I can come up with (trust me, it's _way_ more complicated than that, it's just my little brains have troubles explaining it). Now about the latest update, well, they were focusing on improving the game experience with America's Army and few other games [Quake Wars?] mainly, because hackers found a way to exploit the system. One particular hack was related to dropping UDP packets. PB uses a mechanism called tick-hash, when queries from server have to be replied with packets from client (with hash-tick, to check the legitimacy), and the way it works, that it prevents of packets being manually edited (that is, you can't simply put a command to a server, that your character jumped 100m, up or something.. hence - preventing cheating). But rexem.. uhm.. I mean, other hackers.. managed to work around this by simply looking at the UDP packet, reading it at the low level stage (before it's even processed by the game) and if, for example, it contains info, that the bullet just killed you [uhm, well, not exactly like that, they use a bit different techniques, but lets simplify for the sake of argument], the cheat drops the UDP packet completely, fooling PB that it was lost in the transaction. Oy, before I got carried away too long, let me summarize that PB changed the way they treat lost packets (that is, increased the amount of packets being marked as critical (key), and changed the algorithm how they are tagged). All would be fine, if not some serious flaws affecting ET (since ET, for various reasons weren't touched by this possible exploit) -- as I mentioned before (that long and boring paragraph above), PB_A/PB_B is completely unrelated to the specific game, therefore they "updated" and "fixed" bug in all games (even though ours wasn't affected). Plus, now they added some additional info in every UDP packet they send (aka, meta data), that means we get even bigger overload with useless cr*p, and if few packets are lost (the algorithm determining how many or which kind will cause some PB error and kick from the game, is obviously secret and the author of it, is being held in the deep Evenbalance dungeons), you will get the error (aka, "possibly cheating" -> kick). In other words: more packets are critical + packets are bigger = lots of errors/kicks. Thanks for the info solex, I would just like to confirm that I have a decent connection at home with only 1 computer usually on the network and I don't experience the packet kick (except for that single odd random occasion). 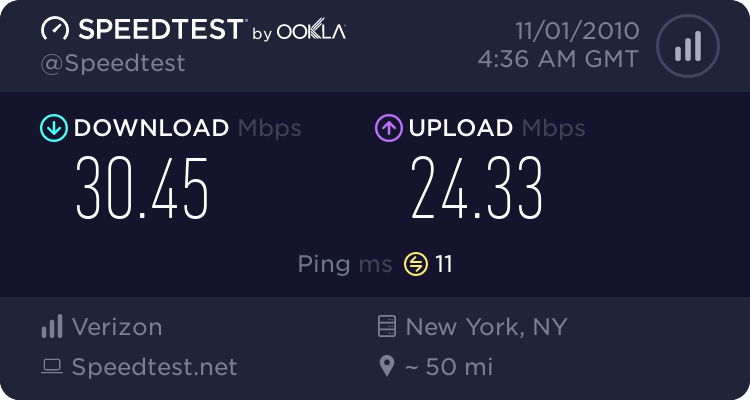 To help test one theory, Porridge, could you use something like www.speedtest.net/ or would that even help test the connection theory? As I mentioned earlier, I have a 6 MB DSL line (Download Speed: 6106 kbps (763.3 KB/sec transfer rate). The upload speed might be an issue if the time taken for the amount of data sent exceeds their internal time out limits. Maybe, they need to increase that. In addition, I compared the loaded DLLs between Disco's list and mine. I found only 3 DLLs that were different. Of most significance is that he has an nvidia card versus my old ATI radeon. Not sure if that should matter. Also, the build numbers of his MS DLLs are older. In addition, qu!ck sent me his PB folder (so I might try dropping his PB install to see if that helps - altho' I highly doubt it). Im thinking its more latency than bandwidth related. Solex's post brings up interesting points... it could be entirely based on software latency per client. SPI firewalls with less efficient algorithms, general "running task" bloat, AVs, etc. Just got kicked within 1 min of joining so I have some time to respond to this post. Latency could be caused (as you said) by inefficient firewalls, AV etc. However, I have on-access scanning turned off on my AV and these are just UDP packets. My firewall simply routes them through (especially upstream). So, the speculation is that this latency is caused by PB running it's local scans where some combination of local software, drivers etc. interfere with the scans and hence the packets are delivered to the remote server after a particular timeout is reached (i.e. those key packets are dropped). Which is probably the reason that EB wants a list of my local DLLs loaded by the ET.exe process. I am 99% certain that cgame_mp_xp loads when the game client connects to the server. I saved the process dump after tabbing out while still connected, which is why I have the dll loaded and you do not (assuming that you saved your process dump file right after getting kicked). So I don't think its the culprit. Curiously enough though, there is a version of this which gets installed with the game, a version that comes in the etpub folder, and another in the pb folder which all appear to be different. Pbsetup updates at least the one in the etmain folder when it is run after a stock install. BTW - I noticed using process explorer that pbsetup does not shut down cleanly after it is run. You have to go into task manager and kill the process manually to reclaim the resources it uses (however small they may be). Just an FYI. Bonjour namespace provider is some crap that got installed with iTunes. Not sure why it should be loaded when I am running ET but it clearly is. I have removed it from my windows install now and am so much the happier for it. ATI versus Nvidia? Well this certainly could be the cause of some of the "software latency" being described here, esp given the reputation of ATI drivers. But I can't possibly be the only one with an nvidia graphics card. I noticed during my play in XP that it is much more susceptible to lag than in linux....not to be a fanboy, but it was really noticeable even with a decent ping. I am not sure why this should be the case since the hardware is identical and the video driver in XP is actually newer than it is in linux. PS - Just had a thought, is it possible to change the "nice" value in XP to give ET or pb a higher CPU scheduling priority? This might help. cgame_mp - client game, multiplayer... It is the "game" code that is loaded on the client side. The one in ETmain is the stock code, the one in etpub is the etpub code, etc. Not the client assests, which are in the etpub client PK3. Anyway, its normal to have one for every mod, except the truly server side only mods which still use the ETmain client code. I dont think there are any more such mods TBH. just to rule out the nvidea vs ati situation....i have a really old ATI radeon x800 and it doesnt kick me. Im thinking its gotta be connection issues. normally its at 6mb/sec...must be slow right now...although i have a nice ping. 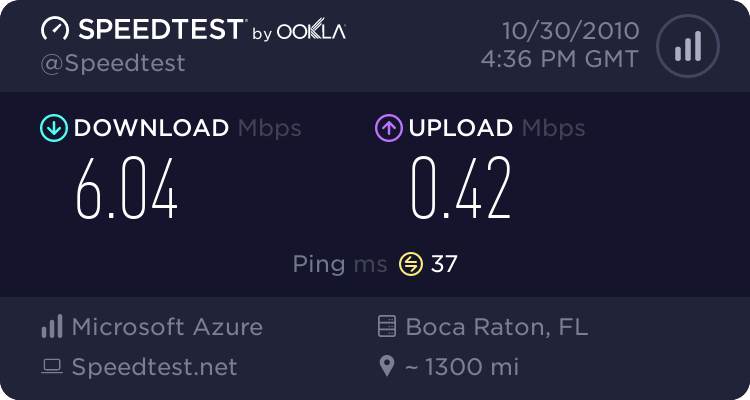 i hate Charter with all my heart, but they are the only isp around. unless of course you want dsl....but who wants that? go undercover! I think it has something to do with connection quality as well. I have a horrible connection, and get kicked often. This test is the fastest I have seen mine in a while, but I routinely have lag just surfing and stuff. I will ride eternal, shiny and chrome! Witness Me! for my end, the pb kicks are unlikely related with line quality. 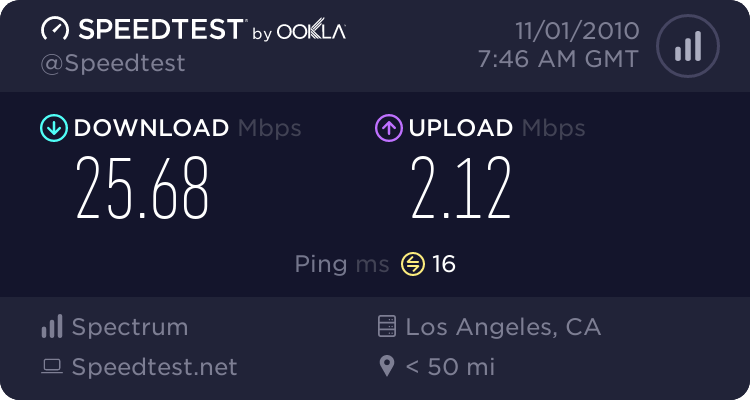 i have a fiber connection with very stable speeds and rare packet loss. the info that solex posted was interesting as i am behind a router which has a firewall and have no antivirus, are you guys behind a router as well or directly connected? regardless of router, is there a firewall running? what about antivirus? i doubt its graphics card related as well, have nvidia 8600gt. Router (with firewall), firewall, antivirus all running. But, it's the same stuff that has been running way before this 9014 kick started. One thing I can say is that nothing on my end has changed really in a long long time. 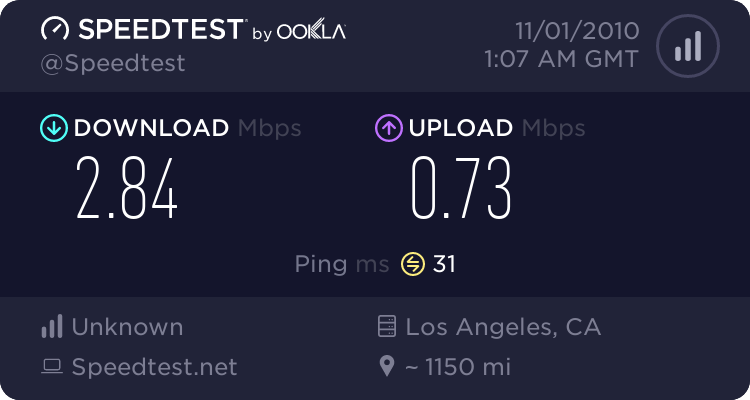 For what it's worth, here is my speed test. I don't get packet kicks regardless of using router or connected directly. Regarding the connection theory, IMO regular broadband speeds should be more than enough tbh. They are really just small UDP/data packets that are sent (even tho' the amount of data sent is more - I cannot imagine that they'd flood the pipe - but who knows). So, once again, it is ping versus bandwidth. If it were ping related (i.e. 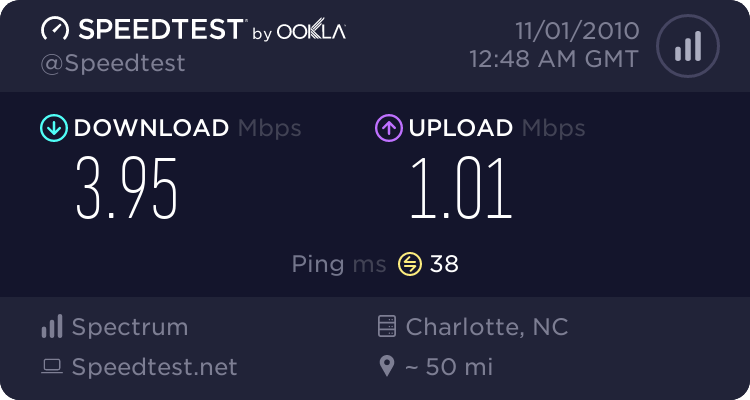 pure connection latency) most folks outside of the US would get kicked routinely (which is not the case). Therefore the problem with latency (i.e. amount of time for your PB requested packets to reach the server) is that the data packets from the client reach the server after a server time out interval. Now this interval size is probably pretty large since there are players all over the world. So, it might actually indicate that the packets are being dropped (as the error message says lol). IMO and as per the data in Solex's post, I believe there is a connection between the lag hiccups issue and the 9014s. What I mean by that is 8 out of 10 of those who experience frequent lag hiccups have experienced 9014 at one point or another. So, there is some local software or combination of stuff installed that interferes with PBs local scans and in some cases does not send a requested data packet to the server "on time". In the past, this was probably ignored by PB and retry attempts were made - but currently PB has become a lot more strict about this and determines it to be an attempt to "modify" key packets. So, I believe that this might be a tough problem for EB to fix since they have to really address and fix the lag hiccups issue. This is all just my speculation of course. I could be totally wrong ha ha. Not sure if it's possible for everyone, I use Win7 64bit (yes 64bit handles memory better). What I have seen is 32 bit OS and XP 64bit kicks for 9014. Seems like pb did an upgrade and forgot about everyone else. Sweet! I just got kicked - so I get a chance to respond to this. I'm certain i've said this before but i also use Win7 64 and have never had a guid or 9014 kick ever. Right - I've yet to hear of Win7 64 folks getting kicked for 9014. Seems like 32 bit XP users have been most affected. Also Porridge i don't know why your death adder is so cpu intensive . I use it as well and there is never any cpu use on the task manager list . Depends on the polling rate of the mouse and your system. I had my polling rate set to 1000Hz (which I have since lowered to 500Hz). Higher polling rates will cause you to lose CPU cycles and affect FPS to a certain extent. Newer and higher end systems are not affected much (if at all). Unfortunately, my piece of junk caused the mouse to become somewhat unresponsive when I increased the scheduling priority of the ET process. All of your speedtests , some of which are quite impressive , seem to be done pretty close to where you are located . Why don't you try running the test from your location to where the server is located . I realize it's not going to be exact but it might give you some indication of a problem down the line . Time of day also seems to matter . I run the test to Chicago(no where near me since i'm in Canada ) in the morning and hit 24 down and just under a 1 up , then in afternoon it drops to 19-20 down and stays at just under 1 up . Prime time evening it drops to 14-15 down and again just under 1 up . Only one thing does stay consistent over all the tests is my ping . It is always 36 and never changes . I reran the test and the only difference was the ping which jumped to 86ms (which is still considerably low). Bandwidth remained exactly the same (as expected). I'm fairly convinced that the problem is related to some local combination of software installed - and for that reason I am losing hope that PB will ever be able to fix this problem unless they revert to an older stable build (and remove its so called "fix" - which I am hoping for). I mean I don't see how they are going to be able to test all different installs and combinations of "interfering software" on various machines. Im sorry for butting in on issues i have no idea about but i also get kicked frequently. my question is this is it mandatory for games such as et etc.. to have pb in order be online or have a server? is it the servers choice if they want it or not? i dont know but i think we have been playing long enough some a lot longer to be able to recognize if people were cheating. couldnt pb just be done away with and do it manually with admins and votes? like i said i dont know im just asking. The two things I'd be looking at are SPI firewalls, whether software on the machne or hardware in a router, and uPNP, which most SOHO routers have enabled by default. Anything that is holding up packets while it scans their contents could be contributing to this. For the record - I run Win7/64, Amy runs Vista 64, and I think between us we have gotten 9014'd twice, maybe 3 times. I think this thread needed a fresh new page. 11/04/2010 11:55:42 - "Hendrik T"
Note #12: We're aware of the issue and are working on a resolution. A fix will be available in an upcoming patch. Any hints as to the length of time for (upcoming)?